iFred, the International Foundation of Research and Education, launched a free training on Hope via the 7 Cups platform and through a Hopeful Minds curriculum for children, intending to teach the skill of Hope globally. In order to expedite the great global challenge, Matthew Jackman has joined the advisory board to develop and lead a team of Global Youth Hope Ambassadors, all charged with helping implement curriculum in local communities to ensure each and every person is taught this critical skill. The ‘Hope Badge’ on 7 Cups geared is available to anyone over 13, and is free training for a peer to peer support network of mental health consumers with over 25 million users globally, to teach individuals basic concepts about tools needed for creating, maintaining, and growing a hopeful mindset. The program was based on the curriculum made for teachers about how to teach Hope to children, ages 6-12, available free for use around the world at Hopeful Minds. Hopelessness is a leading predictor of suicide, and suicide is now the leading cause of death, globally, for teen girls. 1 out of 9 students are self-reporting suicide attempts before graduating high school, with 40% of them in grade school. Hopelessness is the primary symptom of depression, and 36% of adolescent girls in the US are depressed before graduating high school, and 25% in UK before age 14. Hopelessness is associated with delinquent behavior, weapon carrying on school property, all forms of self-directed violence, and interpersonal and partner violence. Hopelessness is higher among the LGBTQ community (63.0%) vs heterosexual students (27.5%), victims of bullying, those with childhood abuse, and often a consequence among race related discrimination. Higher hope is associated with better academic performance, less stress, increased productivity, quality leadership, more resilience, lower anxiety, strong social connection, and less loneliness. Those with high hope are less likely to develop depression and anxiety, and live longer. Hope is independent of optimism, a precursor to resilience, and a skill each and every person needs. Matthew Jackman comments on the new role: “I am excited to create and lead a diverse global team of youth advocates so we can collectively share and move towards a universal aim through hope-based prevention and early intervention. Personal mental and emotional distress lives within a context. Therefore, redressing the social, political and economic determinants that reflect human rights, equity and justice will reduce mental health particularly among persons, groups and communities that do not hold social, economic and political power. This grand challenge must commence from a place of personal, community and societal hope. As over 600 around the world experience anxiety and depression alone, with depression the leading cause of disability worldwide, the need is significant and technology can reduce significant treatment gaps. With the World Bank‘s 2006 report on a 4:1 return on investment for addressing mental health, and the 2.5 trillion dollar cost to the economy, it makes financial sense to support building Hope in the workplace, at home, in schools, community centers, and more. We believe children are going to drive this Hope Movement forward, as there is a significant, immediate need for understanding, teaching, and growing what may be the antidote to this global epidemic; hope. The Hope curriculum is comprised of 12 lessons, and the Hope Badge training takes you through each with a quiz at the end about the lessons. Once certified in the Hope training, you get a ‘Hope Badge’ on your 7 Cups listener profile so that those calling needing support know you understand what we know to date of hope. The lessons teach the meaning of hope, what supports a hopeful state, mindfulness, emotional self-regulation techniques, gratitude, the importance of brain nutrition, the meaning of success as the journey and not the destination, giving hope to others, how to address failure, techniques for ending rumination, finding purpose, creating a hope network, and more. It aims to arm all around the world with tips and tricks for having a Hopeful Mindset, even when the odds seem insurmountable. The integration of the Hope Badge into the 7 Cups platform was made possible by the generous support of Sutter Health, a leading health system in California, allowing us to reach each and every person in California to provide much-needed support. Mental health challenges do not discriminate; they impact all races, socioeconomic backgrounds, and ethnicities. If you are interested in bringing Hope to your community, elder center, church, after-school program or more, simply share the Hope Badge, so that everyone can get trained in Hope. And if so inspired, you can visit Hopeful Minds and bring the hope curriculum to the classroom, your girl scout or boy scout troop, or church. We already know, the younger we start, the easier it is to teach. Please consider helping us spread the word, so we can ensure each and every person around the world is equipped with critical tools to maintaining a hopeful state. Matthew’s service user and young caregiver journey commenced at the age of three as a result of having to care for his younger siblings having lost his mother to mental distress following six years of supporting and caregiving for his mother. Matthew lives with mood fluctuations, defined as Bipolar by Psychiatry, and manages through music, social connection and meaningful hope inducing work and volunteering in global mental health. He identifies as a survivor of abuse, trauma, suicide, an advocate for silenced persons, groups and communities, and most importantly identifies with being social engineered into humanitarian global mental health work through his own living experience and professional background. 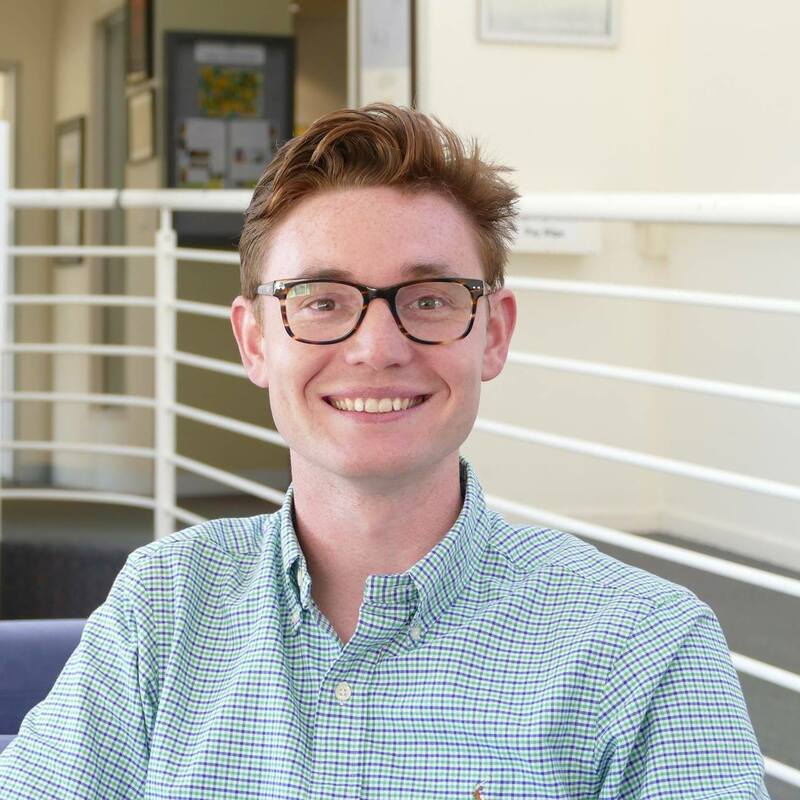 Matthew presently teaches across a number of universities in mental health and social determinants to health and wellbeing and is a mental health and international student researcher at Monash University in Melbourne, Australia. He provides a student counselling service to International students where he jointly Unit Co-ordinates in the Bachelor of Community Services at Acknowledge Education. Matthew advises global mental health bodies from a living experience perspective, and is passionate about human rights, social justice and the intersection with ‘living’ experience involvement at systemic local, state, national and international spaces. He represents Melbourne as a Global Shaper with the World Economic Forum, and is serving as a Youth Advisory Board lead for Hopeful Minds. He is undertaking his Masters of Counselling and Psychotherapy, International Diploma in Mental Health, Human Rights and Law, and Doctorate (PhD) in Social Work examining peer work as a discipline in global mental health. He holds a Bachelor of Social Work with Honours from Monash University. Joe Biden told Meghan McCain, ‘You Must Have Hope’. What is your #OneThing for #Hope?